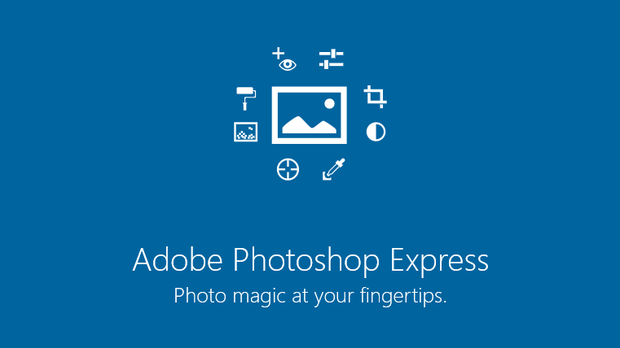 •Basics: Crop, straighten, rotate, and flip your photos. Remove red eye, and pet eye. •Auto-Fix: A one-touch adjustment for contrast, exposure, and white balance. •Blemish Removal: With one touch, remove spots, dirt, and dust from your photos. •Color: Slide controls for clarity, contrast, exposure, highlights, shadows, temperature, tint, sharpen and vibrance. •One-touch filters “Looks”: Choose from more than 20 eye-catching effects! And now control the intensity of Looks. •The image rendering engine improves performance and enables handling of large file sizes – i.e. panoramic photos. •Borders: Add a distinctive personal touch to your photos with 15 borders and frames. Express yourself! •RAW photo support: Import and edit photos in RAW format. •Share to all your favorite social sites: Facebook, Twitter, Tumblr and more. -Noise Reduction to minimize unwanted grain and speckling in your night photos. *Available when you sign in with an Adobe ID. The Advanced Pack, previously called ” Noise Reduction Pack” now includes Noise Reduction and Defog and can be found in the “Corrections” slider menu. •Updated the core imaging engine, improves performance and enables opening additional RAW files types. •Remove noise from low light images using the new Color Reduce Noise correction. •Save your images now directly into Lightroom. •Share directly to popular social networks like Facebook, Line, Instagram, WeChat and WhatsApp. •Custom control for size and quality of saved images. •Reduced the app size, now it’ll take less space on your device.